Used the BreakupText App to Break Up? Then Get the MakeupText App to Get Back Together | OhGizmo! Would You Eat This Lab-Grown Burger? By Hazel Chua on 08/08/13 • Leave a comment! So you broke up with your other half on a whim, and now you want to get back together. 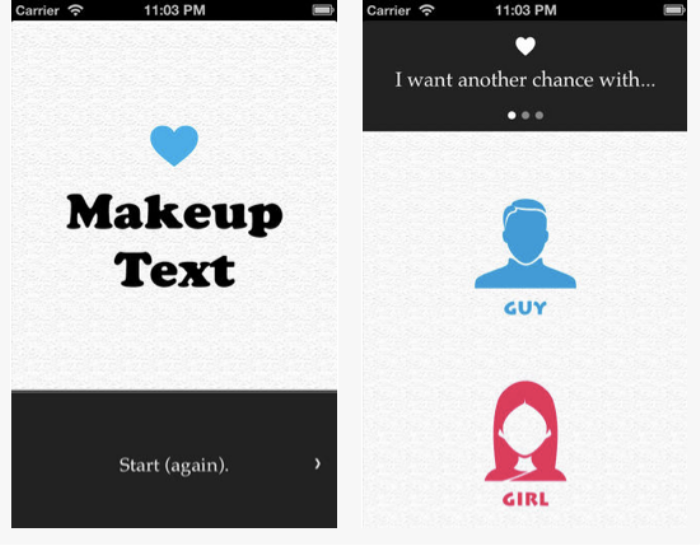 If you were a jerk and went through with your breakup with the use of BreakupText, here’s a bit of good news for you: an anti-breakup app exists and it’s aptly called the MakeupText app. Both apps are developed by the same people. 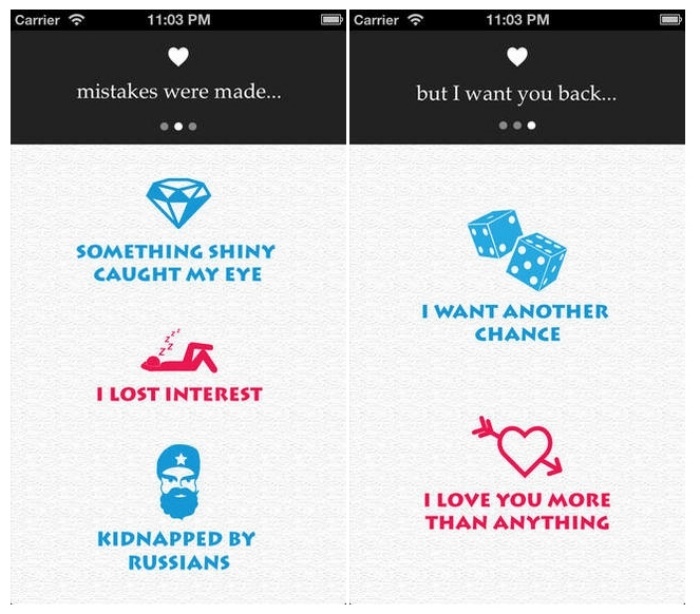 In this case, the MakeupText app lets you, the user, spew apologies and sweet nothings with the goal of trying to get your ex-sweetheart back. The only problem is.. will he (or she) fall for it? I mean, you did just do the breakup through text, of all things. Another bit of good news is that MakeupText app is free to download from the iTunes App Store for a limited time only. BreakupText costs $0.99 to download, so I guess that should say something about the perceived demand of the apps. If you do use this to try and win back an ex, please do let us know how it worked (or didn’t work) for you. ← Would You Eat This Lab-Grown Burger?